Damath comes from the Pinoy checker boardgame called “dama” and mathematics. It blends local culture, education and digital technology that aim to make math teaching and learning child-friendly, challenging and interactive. In its unique way, damath boardgame ushers the Filipino school kids into the new millennium by equipping them with competitive life-long learning for understanding and ICT-fluency skills. When school children play damath boardgame they also learn to explore, firm-up, deepen, and transfer to daily tasks the concepts of real numbers and its properties and operations. Moreover, it stimulates the children’s capability to think deeper through creative math storytelling, flowchart, concept map, tree diagram, picture riddle, haiku, cryptogram, secret code decoding, simulation, role playing, jingle or rap composing, reflection journal writing, and problem solving. This joyful and practical approach to contextualized teaching and learning math is the brainchild of 1981 presidential merit medal awardee teacher Jesus L. Huenda. As a public high school teacher in Sorsogon, Huenda always thinks of ways to optimize his talents to help others. This describes best this ordinary teacher who was cited by no less than the President of the Republic for his out-of-the-box “contribution in terms of innovative approaches in teaching and learning mathematics”. According to Huenda, this is how damath works: “I integrate some math concepts and numeracy skills in the indigenous boardgame of dama. In the 32 white squares (the other 32 alternately arranged squares are colored green) of the 8×8-square damath playing board, I put the symbols of mathematical operations like addition (+), subtraction (-), multiplication (×) and division (÷). The 12 damath chips for each player are divided into two sets (blue and red chips): those with zero, and even numbers with positive sign (+); while odd numbers have negative (-) sign. The two players try to capture chips by adapting the existing dama rules to numeracy skills which result to higher positive points, while evading those with lower negative points.” When the learners play damath, they aim to get higher point over the opponent. Capturing the opponent’s dama chips is strategically planned such that a player would target a chip representing high number. The game becomes a combination of strategic higher order thinking skills and basic mathematical operations. This strategy in teaching and learning math with Understanding by Design (UbD) framework has helped students look at Mathematics as a subject not so difficult to learn. “Unknowingly, the players are using the mathematical fundamentals when they play damath”, Mr. Huenda explained. “Those who used to dislike math is actually learning how to use math when he/she plays the boardgame and in the process learn the subject,” he added. Aside from “damath”, Mr. Huenda has also developed the “pierdi-gana” boardgame. He calls this boardgame “scidama”. This is the opposite of damath in the sense that the players’ main target is to have their dama chips consumed by their opponent in order to win. 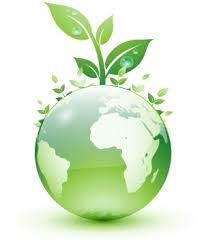 Scidama is focused on bringing about environmental consciousness among the school children. Literally, pierdi-gana means to let go by disposing water, fuel and energy consumption that contribute to global warming and climate change. The main objective of the players in scidama is to divest themselves of extravagant consumptions that can lead to environmental degradation. Here, the scidama chips represent kilowatt hours of electricity used, cubic meters of water consumed, liters of oil consumed, cooking gas used among others. The players strategize in such a way that they will have to reduce their consumption of these resources and in the process help in arresting global warming and climate change. “The less you consume resources, the less you contribute to the destruction of the environment. This is what we want to instill in the minds of our learners,” Huenda pointed out. In the scidama, the player’s main objective is to have his/her dama chips be captured by the opponent in order to win. The player who first has his/her chips decimated by the opponent wins the game. This means that the winner is able to divest himself/herself of these resources and does not use them unnecessarily. |“Kabaliktaran ng damath ang scidama kasi ito ay pierdi-gana o ubusan ng chips. Dapat maubos ang chips mo para manalo. In other words, I have to dispose off my expenses in water, electricity, oil and others so that I will not contribute to global warming and climate change. Kung malaki konsumo ko, I will contribute to the destruction of the environment. Gagawa ka ng plano na pagkatapos ng laro konti lang konsumo mo at ibibigay mo ang dapat mong konsumo sa kalaban mo upang hindi ka makasali sa paglubha ng kapaligiran”, Huenda added. Another collaborative innovation which Huenda did in cooperation with some Computer Science students is the “eDamath” which uses digital technology in playing damath against the computer itself. The damath computer game helps develop the strategic and analytical thinking skills of the students. Similarly, when two players are interconnected in their computers through the Local Area Network, they can play damath in a remote platform and the computer becomes the arbiter or scorer. Mr. Huenda’s electronic damath playing board can be accessed through the DepEd website (http://www.deped.gov.ph/BSE/iDEP). The eDamath appears in the computer monitor together with the damath chips that are properly labeled with positive and negative signs in even and odd numbers, respectively. Playing the electronic damath is also a contest on who gets the higher positive score which entails the use of the fundamental operations in math. “When students play the game, they tend to have deeper consciousness on the intricacies of the game. They get to consider every step that they make and how this can contribute to winning the game. In the process they develop analytical thinking skills,” Huenda explained. And there is no stopping Huenda from inventing edutainment games that teach students the basics in living such as entrepreneurship. Thus he came up with “entrepinoy damath,” a business venture game. Here, the fundamental operations of math and basic accounting are also used in the board game including debit and credit, simple bookkeeping, balance sheet and the like. The first set of damath chips represent rent, taxes, salaries, bonuses, discounts, cost price, and other operating expenses. The other half represents income like selling price, profit, savings, real property, building, equipment, etc. The game is played with the damath chips properly labeled: business expenses on one hand and business income on the other hand. The game is won by the one who has captured more chips representing incomes rather than expenses. “With this learning for understanding approach, the learners are honed on strategic business models like the efficiency of incurring less cost in order to have more income. The learners also become conscious of effectively running a business venture,” Huenda explained. But in business as in life, the learners still have to be trained on values and ethics. So he came up with “damath de honor”. Here the damath pieces represent positive and negative Filipino ways including interpersonal relation, consumer protection, anti-corruption and red-tape practices. “Ipapakain mo ang negative values at makakaipon ka ng positive values. Dapat walang greed na siyang dahilan ng corruption at illegal business transaction,” he emphasized. “Have you heard of damath on health and nutrition, People Power EDSA revolution, English-Filipino-Korean vocabulary-building? Or damath with three players? This is just the tip of the iceberg”, Huenda shared. Huenda remains a very active staff at the DepEd Central Office. Although he is a superintendent-eligible, Huenda opted to focus on educational technology innovations that will make a difference in basic education. The beneficiaries, no doubt, are the young school children who never imagined that the lowly boardgame of dama would ever play a significant role in their learning of life’s lessons.